Snow Leopard Energy Rides Again, No. 1 on Amazon! I woke up this morning thinking about my snow leopards. My main power animals are snow leopards, who empower you to leap over major obstacles. 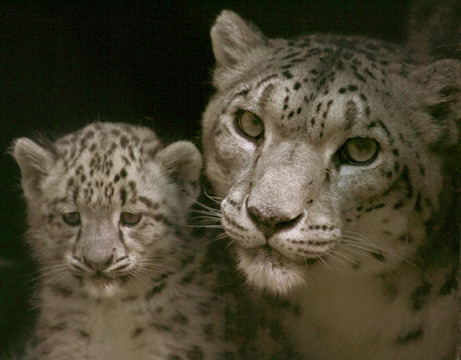 In my mind’s eye, I literally saw my mother snow leopard and my baby snow leopard leaping forward into the light. I saw this without planning or intending to see anything. I just opened my eyes, and that was what I saw – the snow leopards leaping into the light, with the most radiant golden glow on their furry wide chests. Then I went down to my email. What Is Healing? Awaken Your Intuitive Power for Health and Happiness (Atlanta: Total Fitness, 2013) hit No. 1 on Amazon in medicine and psychology as of 5:04 A.M. this morning!!! No. 2 in alternative medicine reference books. YEA! Thank you for all your love and support!! My main power animals are a mother snow leopard, a baby snow leopard, a hawk and a hummingbird. Taking these in reverse and in brief, hummingbirds teach us how to access effortless joy. Hawks allow us to see the big picture. And snow leopards – my most precious snow leopards – are leapers. They have excellent balance. Even though they are capable of taking down prey twice their size, they are the least lethal of all the big cats. They sleep a lot – most of the day in fact. Their very long tails allow them to maintain balance even on the steepest of precipices. They leap over obstacles that would stop virtually every other animal. They leap to heights and vistas where they get to enjoy the most supreme views. My mother snow leopard is elegant, serious and regal. My baby snow leopard is all about play and fun and takes nothing seriously. When I channel my angels, most of the time I hear from my guardian angel, who can have a lot to say. My mother snow leopard is a power animal of few words. She has a totally different voice than my guardian angel, she speaks briefly, not at length and cuts directly to the chase in all matters. Most of the time she is silent. I give many thanks to all the people who wrote amazing reviews on Amazon.com: Thomas Hill, Maxine Taylor, Nina Lynn, Ken Holmes, Jose Blanco, Madeline Deleski, Anna Powers, Gail Goldberg, Charlenne Carl, Jean Adrienne, Zipporah Slaughter, Virginia Wright, Clea Calloway, Nanette Littlestone, Margaret Cobb, Barb Pinkerton, Cris Ramis, Holly Parsons, Greg Keesey, Gabe Horrisberger, Judith Tolnick Champa and Vivian Wooley. I am thankful to my writing coach, Tom Bird, my editors Katimay Harkins and Thomas Hill, my web master Greg Keesey, my audiobook reader Holly Parsons, my audiobook editor John Mahoney of Raven Audiobooks, Donna Palmer over at CD Lab in Phoenix, Arizona, and most especially Rama Jon Cogan, Tom Bird’s assistant, who patiently answered all my not-very-patient questions week after week as I meandered my way through the overwhelming process of writing and publishing a book. It’s hard work if you can get it. Yesterday, I had lunch with my friend Clea Calloway, who is soon to publish her first book, Burning Gold. We commiserated on the fact that we were so thankful to have other authors to talk to because normal people would think we were just plain crazy to go through so much trouble and toil. And then there are days like today, praise God!